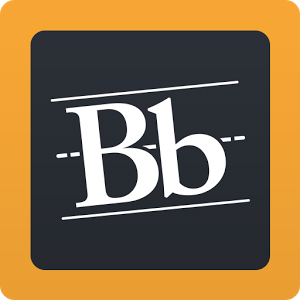 For some assignments in Blackboard, some instructors may include links to rubrics. A rubric is a tool that lists evaluation criteria for an assignment. Instructors may use rubrics to help explain assignment evaluations to students. You may not be able to view a rubric using a mobile device; use a computer with a recommended browser. When you are starting to work on an assignment, if your instructor is using a rubric and has made it available, click the View Rubric button to view grading criteria. A rubric usually looks like a grid. Rubrics can help students plan and organize their efforts to meet the requirements of the assignment. Be sure to read and follow all assignment instructions carefully. 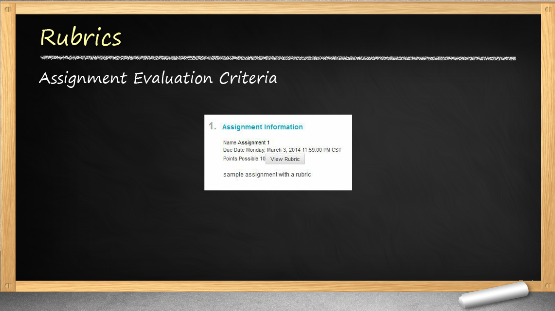 After you have completed and submitted the assignment, your instructor may also provide feedback using a rubric in your grades in Blackboard. The rubric will not appear right on your my grades page. The link to the rubric feedback may be completely hidden from your view until you hover over/mouse over the name of the item, or you may need to click on a small icon or link. 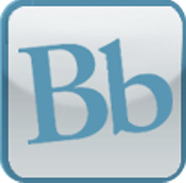 From my grades in a Blackboard course, click the View Rubric link to view the rubric with any feedback and assessment from your instructor. From my grades in the global navigation view or my grades on your my blackboard page, you may need to hover over the title of the assignment for the view rubric link will appears. 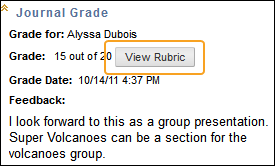 Then click the View Rubric link to view the rubric with any feedback and assessment from your instructor. From a Blackboard course assignment submission area, you'll see your Review Submission History page. You may see a very small rubric icon - right hand side, towards the top of the page near your grade. Click the icon to view the rubric. The rubric will appear in a new window, so make sure your browser is set to allow popups. You may not be able to view a graded rubric using a mobile device; use a computer and recommended browser. If you have any questions about a rubric or an assignment, contact your instructor.